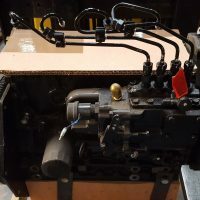 Mitsubishi Heavy Industries (MHI) boasts a long tradition in manufacturing engines, tracing back to the production of Japan’s fi rst unit for commercial use in 1917 and spanning both diesel and gasoline types in two- and four-stroke configurations. 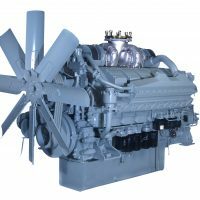 MHI continues to supply engines for a multitude of applications, from industrial and marine engines to off -highway and agricultural uses, and in line-ups ranging from as small as 0.3kW to gigantic 66,000kW. As a result, MHI now ranks as one of the worlds leading engine manufacturers. To date MHI has supplied more than 120,000 marine diesel engines for both main propulsion and auxiliary applications in ships and boats. They are preferred especially in applications demanding dependable, continuous operation combined with outstanding durability, excellent fuel efficiency, and minimal requirements with respect to lubricants and spare parts. This way, MHI marine engines offer the dual advantages of ease of operation and optimum ease of maintenance. The company’s impressive record of engine deliveries is proof of MHI’s close and unbroken relationship with marine industries. 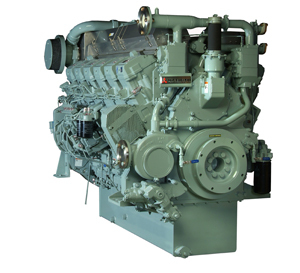 Be the first to review “MARINE ENGINE RANGE” Click here to cancel reply.